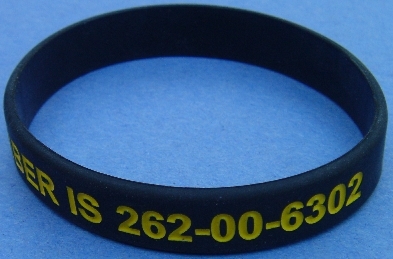 The HOT new Social Security Number Protest Bracelet is here! Along with one copy of an amazing manuscript that includes remarkable historic information about Social Security! 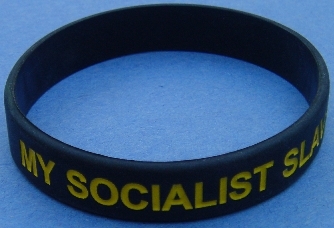 It can be worn as a wrist bracelet or as an ankle bracelet. 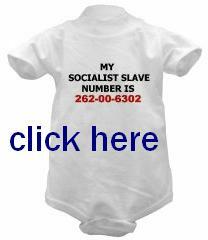 They are the growing fad with everyone in the freedom movement and anyone who supports freedom in the USA. At the time this was composed, research about the novelty indicated that it is not available anywhere else. They will become collectible artifacts from the histoy of an American political party that popularized the novelties: the Libertarian Party (and they are also popular with many Republican Party members). It is great political/social art created by the artist/historian Dr. Rex Curry. It is very comfortable because it is elastic and rubbery. Kids love them too! Be the coolest kid on your block. Be the first kid in your school to wear one. Wear it as you walk past the school's high chain-link fences, past the assembly-line searches of students, past the metal detectors, the hand-wanding, and the x-rays of purses and backpacks, past the video surveillance cameras in the hallways, past the police dogs sniffing lockers and youngsters, and finally past all the locked doors and into the classroom, where you can wear it during the robotic chanting of the Pledge of Allegiance to the USA's growing police state, and later when you are asked for a urine sample for mandatory drug testing. Included is a concise manuscript (at least three pages) that was written by Dr. Curry. 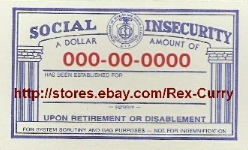 The manuscript includes descriptions of news-making discoveries about Social Security's history and the issue of whether the social security system is unconstitutional. Dr. Curry is also a noted attorney. 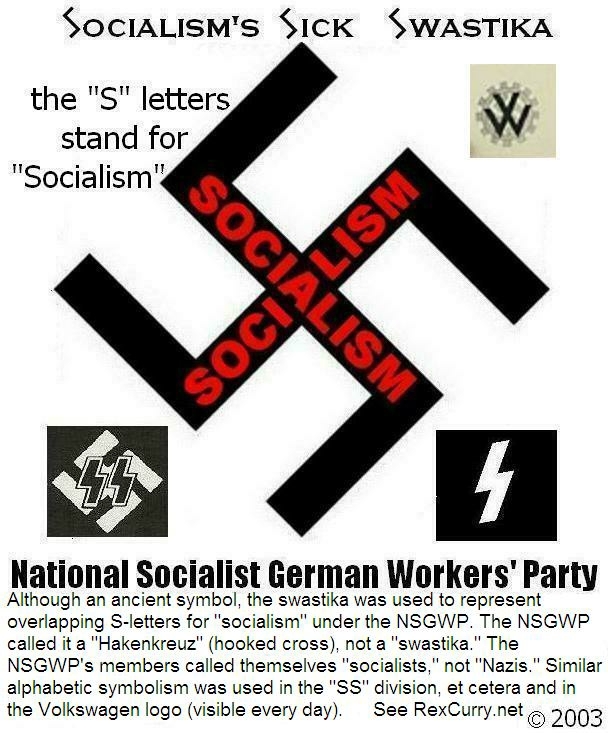 Even though all of those politicians are long gone in Germany and in the USA, many of the schemes have not been repealed and are still imposed upon Americans. It is never too late to stand up for freedom.